The next speaker in the University of Maine at Presque Isle’s Distinguished Lecturer Series understands how hard it can be to finish a college degree, especially when you’re a juvenile behind bars. Starcia Ague found herself in that very situation as a teenager and was able to use her life experiences as inspiration not only to complete her degree, but to devote her career to advocating for at-risk and incarcerated youth. Ague will talk about her life and work when she serves as the University’s first Distinguished Lecturer for the Spring 2013 semester. She will deliver her talk, From Strife to Triumph: A Champion for At-Risk and Delinquent Youth, at 7 p.m. on Monday, Feb. 4, in the Campus Center. The public is invited to attend this free event as well as a reception taking place at 6 p.m. prior to Ague’s talk; refreshments will be served. Ague now works as a research coordinator at the University of Washington focused on disrupting the school-to-prison pipeline, but she spent her early life as the abused and neglected daughter of a drug-dealing father and mother who was an addict and prostitute. Kicked out of her mother’s house at the age of 11, she went to live with her father in a meth lab, learning at an early age that “no one really cared” and she had to do whatever she could do on her own to stay alive. As a 14-year-old, she was convicted of kidnapping and robbery, sentenced to juvenile life in prison (incarceration in the juvenile justice system until she turned 21) and subsequently pardoned by Washington State Governor Christine Gregoire. She is the only juvenile ever in the State of Washington to receive a pardon. Ague has since finished her Bachelor’s degree in Criminal Justice at Washington State University, which she began working on in prison. While completing her studies at WSU, she did an internship with the Spokane County Public Defender’s office working primarily with youth at risk. She also was awarded the third annual Spirit of Youth Award for 2009 by Governor Gregoire. 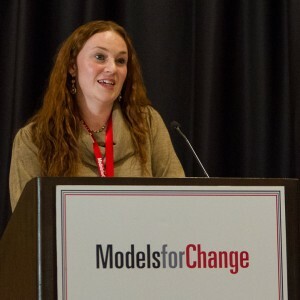 She was nominated for this honor by the Washington State Juvenile Advisory Committee “in recognition of the importance of the rehabilitative focus of juvenile justice and the power of personal achievement.” During her studies at WSU, Ague was also a contributor to the MacArthur Foundation’s Models for Change juvenile justice reform initiatives. As a participant in the Washington State Bar Association’s Annual Access to Justice Conference, Ague developed and implemented training focused on the importance of advocacy and protecting children’s rights in times of economic hardship. She also provided lead testimony for the Second Substitute Senate Bill 6561 that became law in Washington State in April 2010. The new law affords juvenile offenders the opportunity to overcome their past given consecutive years of exemplary behavior. Now at the University of Washington’s Division of Public Behavioral Health and Justice Policy, part of Ague’s work involves helping to select mental health training materials for juvenile justice applications in connection with Models for Change. This is a continuation of Ague’s interest in ensuring that Washington’s juvenile justice system actively engages incarcerated youth with empowering programs and measures. She also serves on the Governor’s Washington State Partnership Council for Juvenile Justice, and she is a frequent contributor to training programs for attorneys working in the area of youth legal services. Ague recently achieved two major distinctions. She has a forthcoming manuscript Trouble to Triumph: Fighting for Education Equality as an Incarcerated Youth, to be published by the Harvard Educational Review. 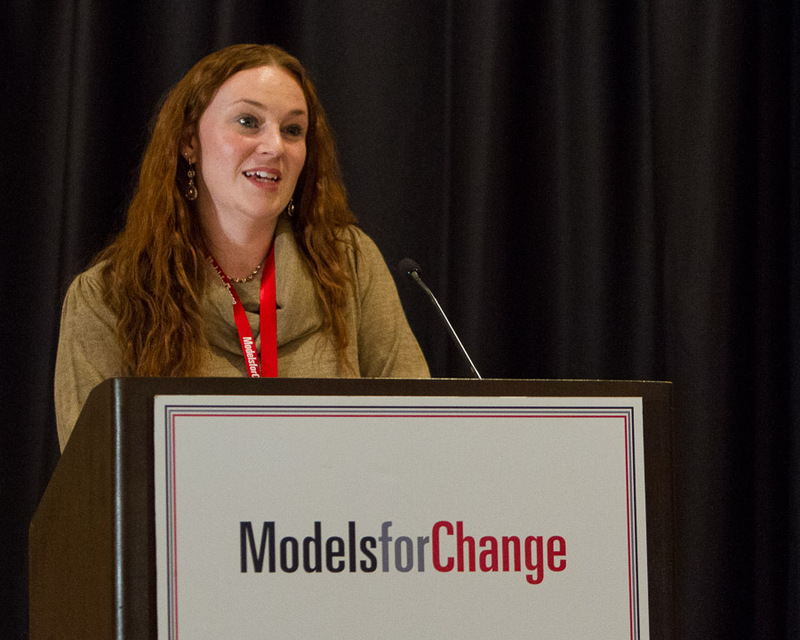 She also was named a 2012 Champion for Change as part of the MacArthur Foundation’s Models for Change reform initiative.